Phil Gold is the Douglas G. Cameron Professor of Medicine, and Professor of Physiology and Oncology, at McGill University. He has served as the Inaugural Director of the McGill (now Goodman) Cancer Centre, Chairman of the Department of Medicine at McGill and Physician-in-Chief at the Montreal General Hospital. He is presently the Executive Director of the Clinical Research Centre of the McGill University Health Centre at The Montreal General Hospital. Dr. Gold’s early research led to the discovery and definition of the Carcinoembryonic Antigen (CEA), and the subsequent CEA blood test. This was the first blood test for cancer sanctioned by the FDA, and then internationally, and is still the most frequently used test in the diagnosis and management of patients with cancer. For this work, other studies, and his outstanding contributions as a medical educator, he has gained national and international recognition. He has been elected to numerous prestigious organizations and has been the recipient of such outstanding awards as the Gairdner Foundation Annual International Award (1978), the Isaak Walton Killam Award in Medicine of the Canada Council (1985), the National Cancer Institute of Canada R.M. Taylor Medal (1992), the Heath Medal of the MD Anderson Hospital (1980), the Inaugural Ernest C. Manning Foundation Award (1982), the Johann-Georg-Zimmerman Prize for Cancer Research (1978), Medizinische Hochschule, Germany (1978), the ISOBM Abbott Award in Japan, the Award of the Academy of International Dental Studies (1984), and the Queen Elizabeth II Jubilee Medal (2002) and DSc degrees (Honorus Causa) from a number of universities. He has been elected to Fellowship in the Royal Society of Canada, the Canadian Academy of Heath Sciences, The American Society for Clinical Investigation (ASCI), the Association of American Physicians (AAP), and Mastership in the American College of Physicians. His outstanding contributions to teaching have been recognized by an award as a Teacher of Distinction from the Faculty of Medicine. He has been honored by his country, his province, his city, and his university by appointment as a Companion of the Order of Canada, an Officer of l’Ordre National du Québec, a member of the Academy of Great Montrealers (now a Member of the Order of Montreal); and a recipient of the Gold Medal of the McGill University Graduate Society, respectively. He has lectured internationally, received honorary degrees, and been the Sir Arthur Sims Traveling Professor to the British Commonwealth. In 2006, the Phil Gold Chair in Medicine was inaugurated at McGill University, and the first incumbent was selected in 2009. He was inducted into the Canadian Medical Hall of Fame in 2010. He received the Life Time Achievement Award from McGill University October 2011 and the inaugural McGill University Faculty of Medicine Global Achievement Award. 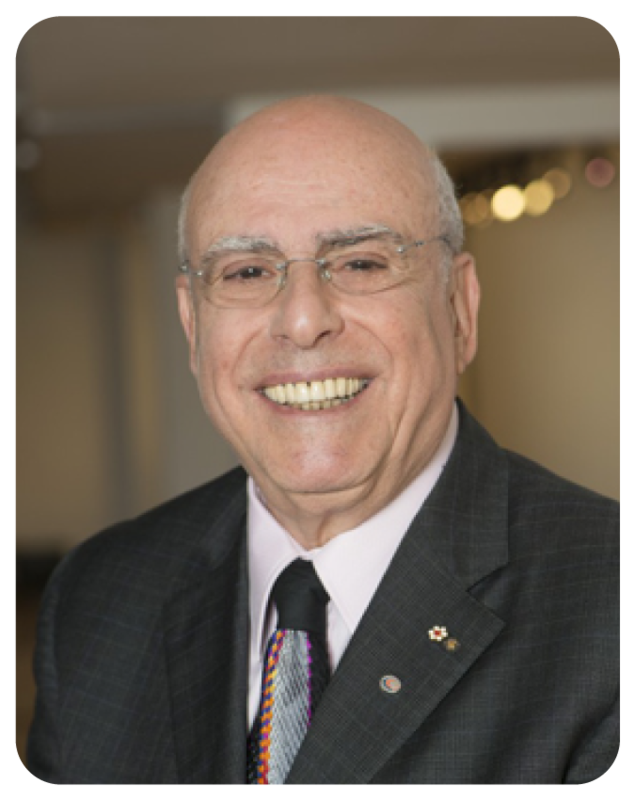 In 2012, Dr. Gold was inducted as an Honorary Member on the International Golden Key Society; he received the Gerald Bronfman Center Lifetime Achievement Award from the Department of Oncology, McGill University, and received the Queen’s Diamond Jubilee Medal. In 2013 he was the recipient of the Wilder-Penfield, Prix du Québec. Inauguration of the ‘Phil Gold Distinguished Lectureship’ at the Goodman Cancer Centre, McGill University. The Einstein Legacy Award (“Celebrating a Century of Genius” and given to 100 visionaries internationally, and from all disciplines, on the occasion of the centennial celebration of Einstein’s publication of the General Theory of Relativity). He has accepted an invitation to receive a D.Sc (Honoris causa) and to present the Convocation address to the Medical Sciences Graduating Class at Queen’s University (Kingston, Ontario) in the Spring of 2018.